Hey everyone. I just want to say thank you all that have been reading the blog so far and express my absolute gratitude in your support of me and want to congratulate you trying to be the best version of you! So who am I? My name is Joe Mallit and I live in Snoqualmie, WA. I work for a major software company in an IT engineering role but that is not what defines who I am that is what I do. Who I am is someone that is trying to become the best version of my self as Elliott Hulse would say. Back in 2009 I decided to make a huge change in my life. At the time I was 273 pounds and in August I was at a wedding for my cousin and when I got back my grandmother called me and was seriously concerned about my health and how overweight I was. She mentioned that I try Nutrisystem to try to drop some of the weight. I decided to give it a try and truly committed myself to it. Over the next 10 or so month I proceeded to stick with it and lost 100 pounds and changed my life. This major improvement gave me self confidence and self respect. I learned a lot while dropping the weight and being on the program. I spent the next couple of years just living my life happy and healthier. In 2012 I discovered Bodybuilding.com and decided that I really would like to better my physique. I knew that while I did an amazing job of trying to drop weight before I still needed to cut more to really be lean and where I could start a bulk. 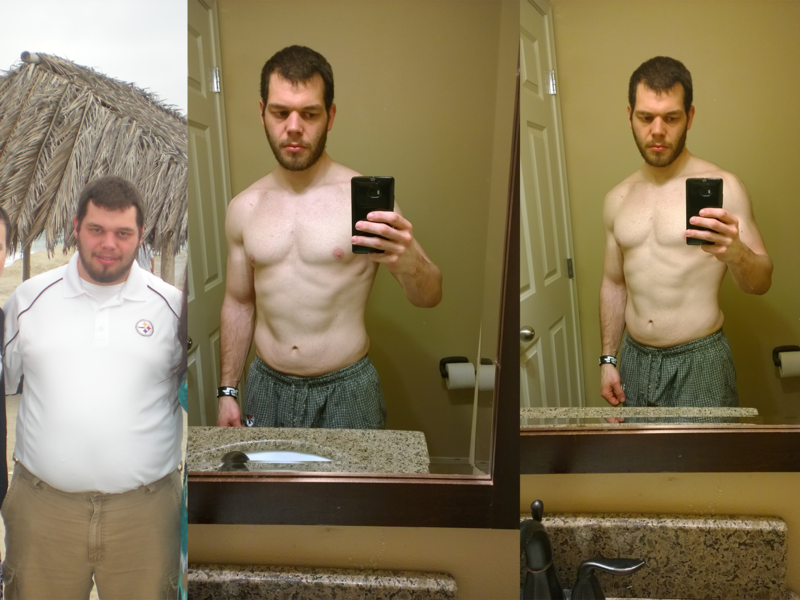 Over the next year and a half I proceeded to try almost all of the plans they had on their site and while I was actually getting stronger I was not really changing my physique. I started to pick up on some YouTube channels and started to get into the fitness life. I started by following CT Fletcher and Mike Rashid I was hammering out some of their workouts and feeling great but clearly my diet was not on point. Through one of the collaboration videos I was introduced to Chris Jones and Physiques of Greatness and saw that he offered online coaching. I decided to contact him about it and starting November 2013 I committed to starting my cut and program with him on December 1st. This was my introduction to IIFYM. At first I was still eating a very “bro” diet of chicken and brown rice. As I continued to go through I was actually seeing success once we got me dialed in. I kept finding new YouTube channels and found the Chelsea Lifts channel who is a flexible eater and that is when I got my true introduction to the fact that with macros you can eat what you want as long as it fits! During one of her videos she mentioned Macro Magic which is a FaceBook group, one that if you are not a member of yet I highly recommend joining. I joined up with this group and started to really expand what I was eating with members like Eric Johnson being some inspiration. I have started to become more active in that community. So know you know a little history about who I am and how I got into IIFYM here is why I am doing this. I want everyone to be able to live healthy and happy and I fell like I was given a second chance to live my life to the fullest and I just want to pay it forward so that everyone has that chance. I want you all to see that eating doesn’t have to be restrictive just be with in the limits of what you need to reach your goals. Again thanks again for taking the time to support me and I look forward to hearing from all of you. I am always here to support you and will never not respond to anyone no matter how busy I am. This entry was posted in Update and tagged IIFYM, Me. Bookmark the permalink. Thanks for sharing. I’m quite familiar with those YouTube folks you mentioned and I too found benefit in watching their videos. Though I rarely watch them anymore, I still carry with me what I learnt. IIFYM certainly makes things a lot simpler/easier, I wish I can just tell some of the blogs I follow how easy it is they can lose weight but I know many would find it hard to believe because of past failures. I know the feeling I was still skeptical of eating IIFYM and for the first part still stuck to bro eating. I started slow and now my eye’s, and diet, are wide open to how easy it can be! Hello, great work on your blog so far, and I wish you good luck for a future of health success and blogging! PS: Thanks for visiting my site and the follow! Thanks for the word of encouragement I look forward to checking out more of you blog!